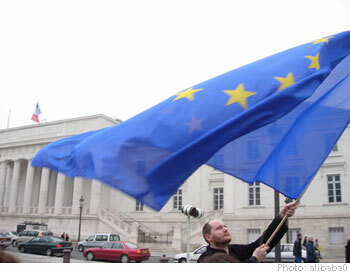 The European Union is apparently against the idea of imitating an FDIC-like entity in Europe. According to iMarketNews, Juergen Stark, a highly conservative german economists, and a member of the Executive Board of the European Central Bank, has eliminated any possibility of setting up an European Monetary Fund to bail out financially troubled EU member states. iMarketNews: “I take exception to the consideration [being given] to granting additional means, even under strict conditions, for an instrument that is not necessary,” Stark told German public radio Deutsche Welle. “And it is also not compatible with the rules on which we agreed at the start of the currency union,” he stressed. Greece has made an important step by recognizing the need for budget consolidation, Stark…. said. He acknowledged that Spain, Portugal and Ireland are also not in a good position, be he argued that the problems of those countries “are of a different nature” to those of Greece. “Once the situation has gradually stabilised we must also gradually unwind these measures. Firstly, this applies to central banks, secondly, this applies to governments,” he elaborated. “They must start already this year to consolidate public budgets and must intensify this in 2011,” Stark demanded. Starks’ approach seems to be echoing that of Otmar Issing, a former executive-board member of the ECB and the Bundesbank ; who argues that : [Economist] “European monetary union is based on two principles. First, stable money guaranteed by an independent European Central Bank with a clear mandate. Second, solid public finances. EMU membership does not mean merging into a single state; public finances basically remain a national responsibility“.